Do you have questions about your back pain or sciatica? 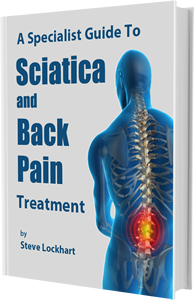 The most important things any back pain or sciatica sufferer needs to know is covered in this informative video. Why Pain and Injury Becomes Chronic or Moves to Another Part of the Body. Most of the conventional methods used to treat chronic pain and injury don’t work and there is a good reason why.